On a sunny terrace overlooking Sonoma Valley, visitors at Viansa Winery sipped whites and reds Thursday afternoon, unaware of the Mexican film crew working diligently on the other side of the tasting room behind yellow caution tape shooting scenes for a Mexican soap opera. Every now and then, the prototypical, emotion-filled outburst of a soap opera actor escaped the boundaries of the set, a patio surrounded by potted plants and trees next to the winery’s main lawn. For much of the afternoon, Latin American telenovela stars Gabriel Soto, Cynthia Klitbo, Azela Robinson, Kimberly Dos Ramos and Irina Baeva shot what were essentially location scenes for “Vino el Amor,” one of Mexico’s newest and most popular soap operas. 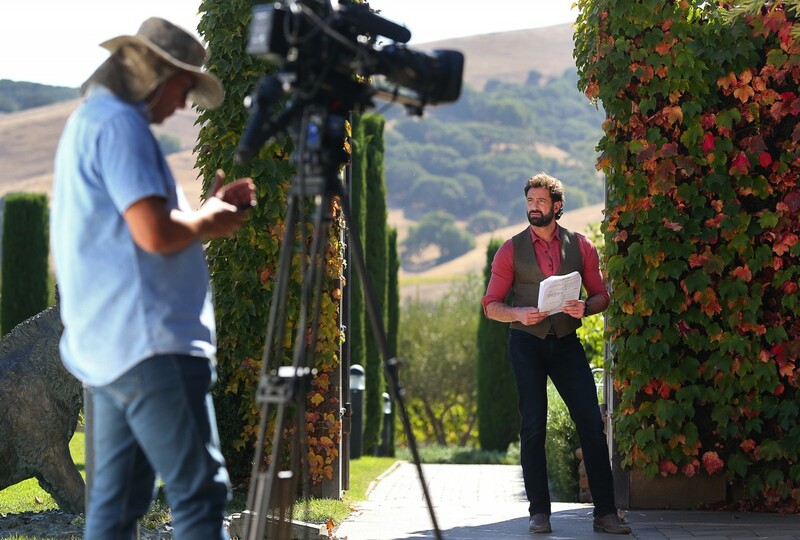 The soap opera, which has already aired 40 episodes in Mexico and is scheduled to begin broadcasting in the United States Oct. 25 at 9 p.m., is set on the outskirts of Sonoma and showcases the popular wine industry destination. “Every time I come, I feel like a part of me is here,” Soto said during a break in the taping of the show. Soto said he’s been impressed with the entire industry, the winemaking process, the vineyard workers and the overall respect people have for the industry. Soto stars in the production along with Russian actress Irina Baeva. “Vino el Amor,” or “Then Love Arrived,” is produced by well-known Mexican producer and director José Alberto Castro for Televisa, the largest media entertainment company in Latin America. It tells the story of David, a vineyard owner of Mexican heritage who early in the show loses his wife in a tragic “accident.” David falls into depression and loses interest in his business and children, a dark road exacerbated by his conniving in-laws. But David becomes reacquainted with Luciana, a young Mexican immigrant who was previously deported but returns to David’s vineyard, El Viñero de Los Angeles, where her family worked. Amid the romantic drama and intrigue, the soap highlights the plight of Mexican immigrants in the United States, their hopes and dreams, and the sacrifices they make, Soto said. Laura Somerville, the soap’s production manager, said Viansa was the first winery the scouting crew visited back in April. About 30 vineyards and wineries were visited in Sonoma and Napa counties, she said. Viansa, however, had all the qualities Castro wanted for his production. The buildings, which resemble a mansion, sit atop a hill in Sonoma Valley’s Carneros region. It also has views of San Pablo Bay to the south and the Mayacamas Mountains to the east. The production has most of its indoor sets in Mexico, including sets of the inside of what is supposed to be David’s house, five of its rooms and a wine cellar. The production crew comes to Sonoma for most of the show’s outdoor scenes. Sometimes that takes the actors and film crew to Sonoma restaurants and the popular plaza. 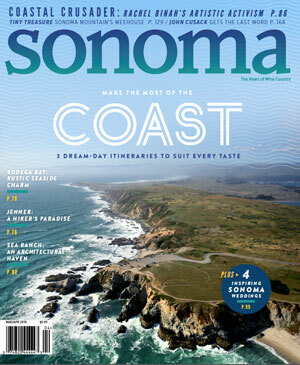 Somerville said the production team considered Napa but chose Sonoma for its more rustic feel and small-town friendliness. “Everybody has been really welcoming,” Somerville said. The film crew will wraps up a week of taping today and heads back to Mexico Saturday. Soto said he hopes to stay a few days and visit the area with his family before going home. This article was originally published in The Press Democrat.